When Pioneer showed off the AppRadio 4 (SPH-DA120) last year, the 'flat face' design made the device look different. Compared to the previous generation AppRadio 3, the newer model had lost its button bar with physical buttons to a flush design with touch keys. 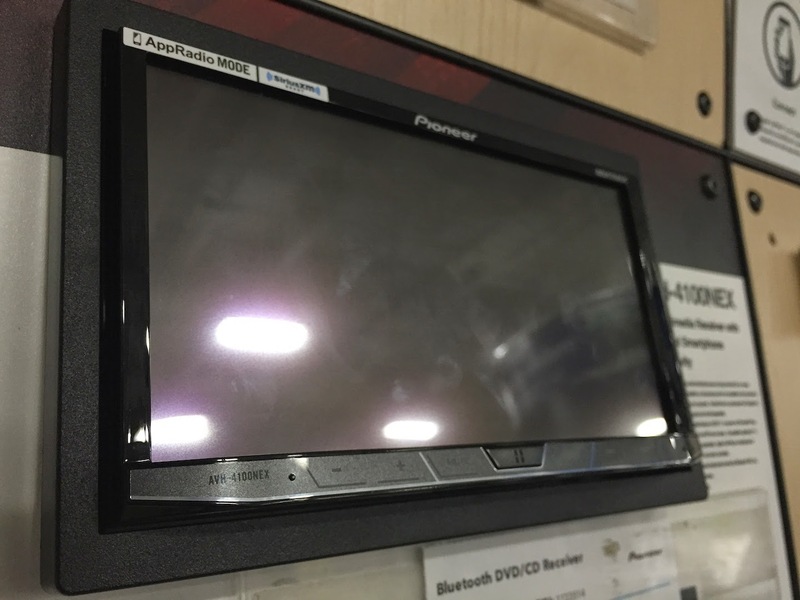 However, Pioneer has retained the button bar in their second generation NEX devices (AVIC-8100NEX, AVIC-7100NEX, & AVH-4100NEX), just like the first generation models. The 'Home' button remains a physical button while the others are touch keys. Nothing's been changed. But apart from serving as a bar of buttons, the protruding lip-like design may serve an additional purpose. You may be doing it unknowingly, but the button bar serves quite well as a resting ledge for your fingers while using the touchscreen. While driving, using a touchscreen on your dashboard can sometimes be challenging. When I had the AppRadio 3 (SPH-DA210), I found that resting my fingers on the button bar while using the touchscreen meant less mis-pointing and more stability. Finding the correct place to tap on the screen was a little easier. With the AppRadio 4, there is no button bar. Often I end up tapping the wrong song in a playlist or missing the 'X' to close a settings menu while driving. It sounds like a minor problem but I do miss that button bar. Losing the bar does make the AppRadio 4 look more 'modern', if you will. But with second generation NEX head units retaining the bar, users will be able to stabilize their hands by resting their fingers on it, making it a little easier to navigate through menus while driving.